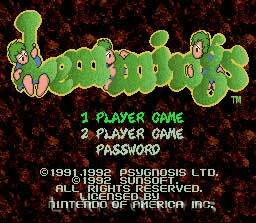 Lemmings SNES Super Nintendo Game Cartridge Cleaned Tested and Guaranteed to Work! 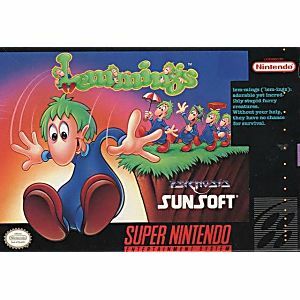 Thousands of Lemmings are on the loose, marching towards extinction unless you can save them. 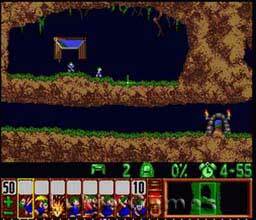 Without minds of their own, they are completely helpless, faithfully following their leader through 125 levels of blazing fires, endless canyons, deadly tunnels and ancient ruins. 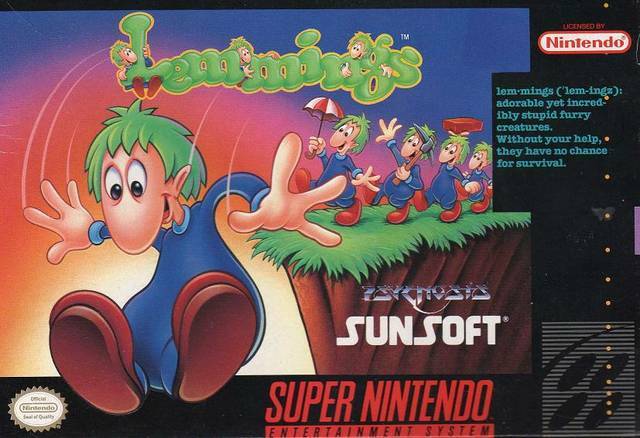 You or you and a friend can command the Lemmings to dig, climb, tunnel, float and build their way to safety. But you have to move fast, because each moment you hesitate, more Lemmings may drop from above! Have always loved playing this game. Still very challenging as well. Game is in great shape. No issues. Very satisfied! Game arrived in perfect condition and works great. Lots of memories can now be shared with my children. thanks!